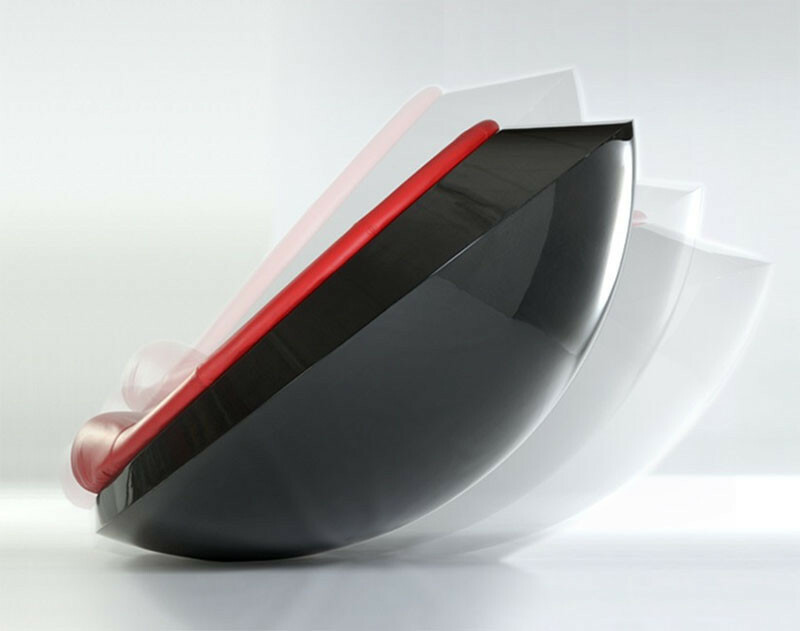 Italian design company IT ONEOFF, have designed ‘UFO‘ a futuristic rocking chair. The name’UFO‘ comes from Unidentified Furniture Object, as it takes its inspiration from the shapes of flying saucers. 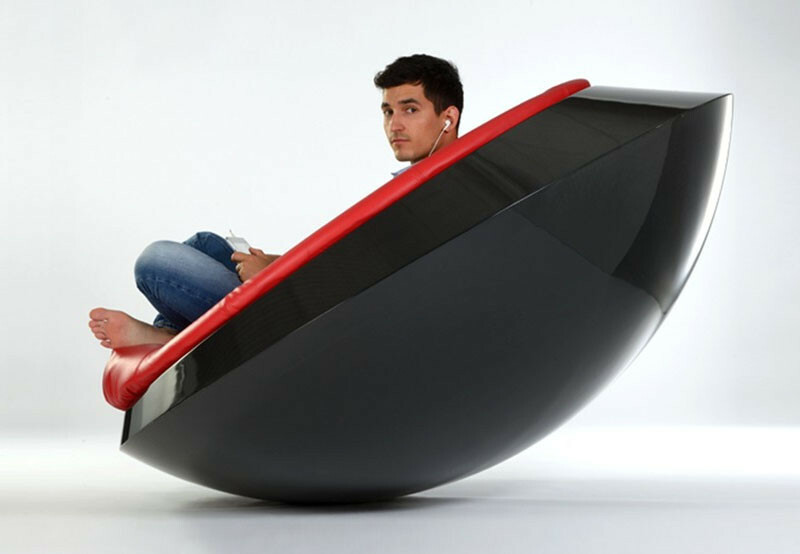 It’s made from a single piece of carbon fiber, with a handmade leather seat, and the design enables it to rock but never flip over. Here you can see the natural sitting position, and how far it leans back when it rocks. 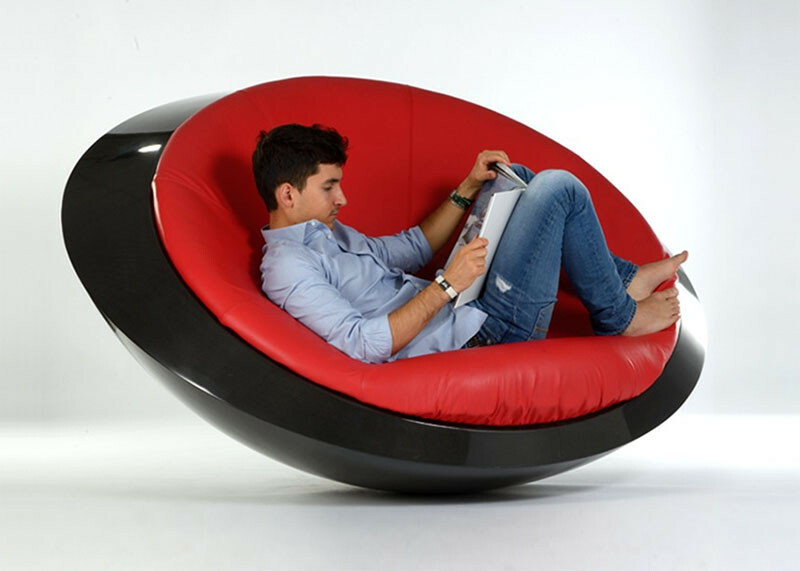 It’s the perfect shape for curling up and reading a book.